Edible Rhody - The Drinks Issue! 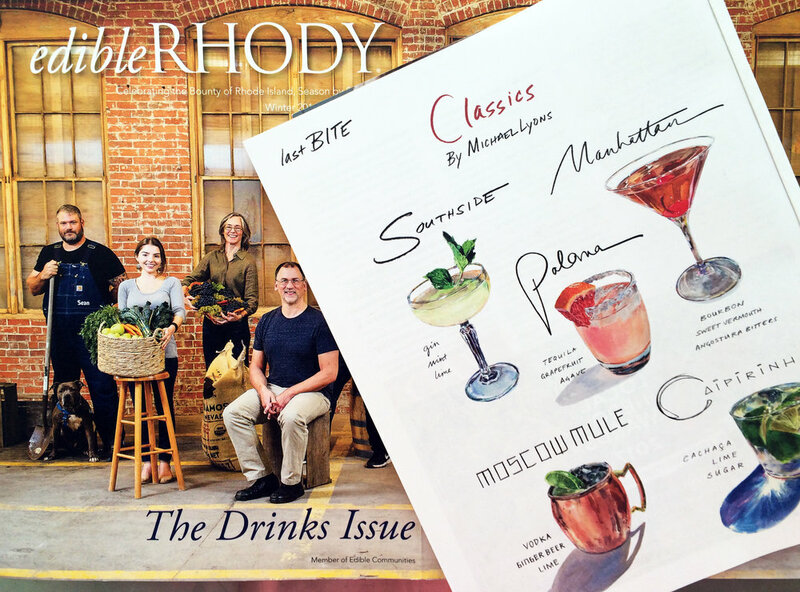 So excited to have my Friday Night Cocktails close out Edible Rhody's Drinks Issue on their "Last Bite" page! My second collaboration with them, Edible Rhode is part of the "Edible" series, regional quarterly magazines that do an amazing job highlighting local food makers and farmers. Full of original recipes, ideas, and stories, they are an amazing resource for anyone who wants to learn more about their local food scene and be inspired.